Optional – a recommended step for setup on a fresh machine. 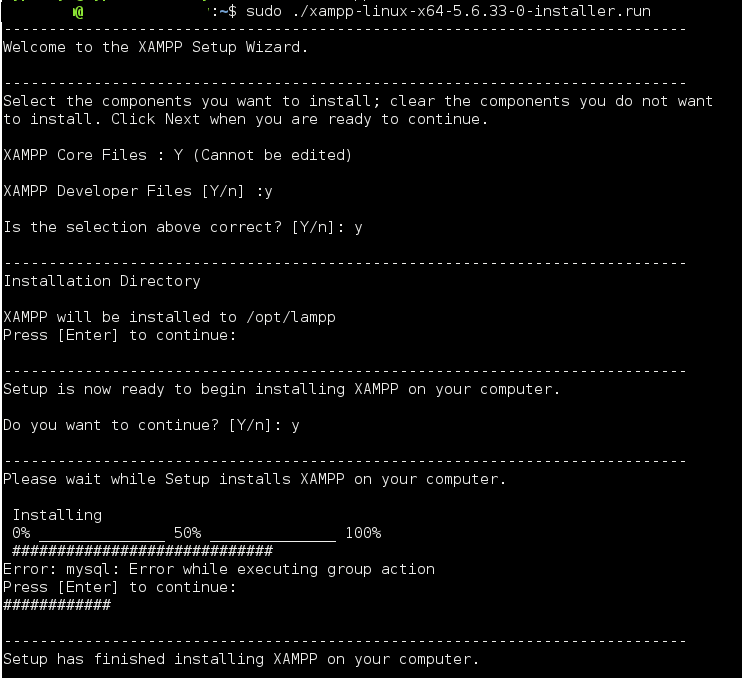 Download the XAMPP from the official download page. You can choose from the available versions 7.2.2 is the latest with PHP 7. Do execute the downloaded installer, we need to set executable permissions on it. The location of conf can vary – for our case you can find it at /opt/lampp/etc/httpd.conf. Open the file using editor of your choice, find and update the ‘Listen 80’, replace 80 with port of your choice.